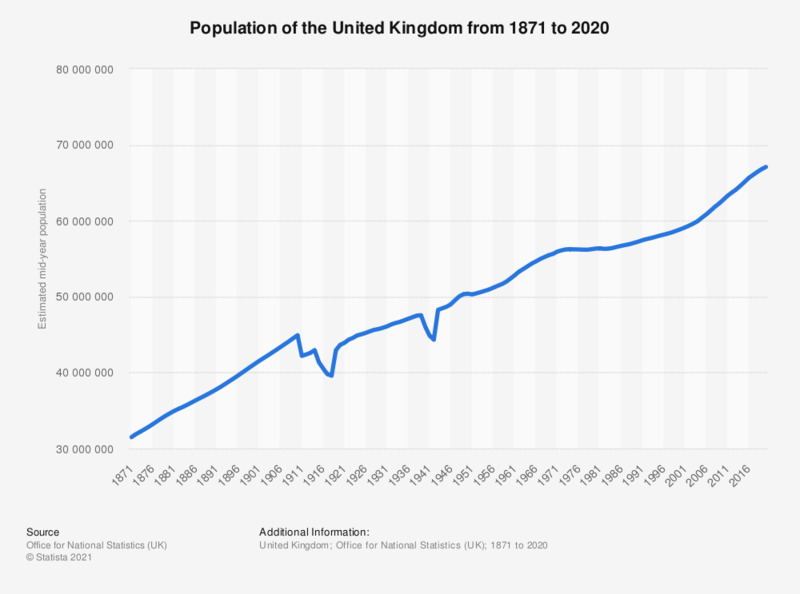 This statistic shows the national population forecasts for the United Kingdom (UK) from 2017 to 2037. In addition to the main forecast, the graph details 'high end' and 'low end' variants. These assume higher and lower rates, respectively, of the following variables: fertility, migration and life expectancy. The main forecast takes the middle ground and is considered to be the most probable. By 2037 national population is expected to be between 68.9 and 77.7 million, with the main forecast being 73.3 million.